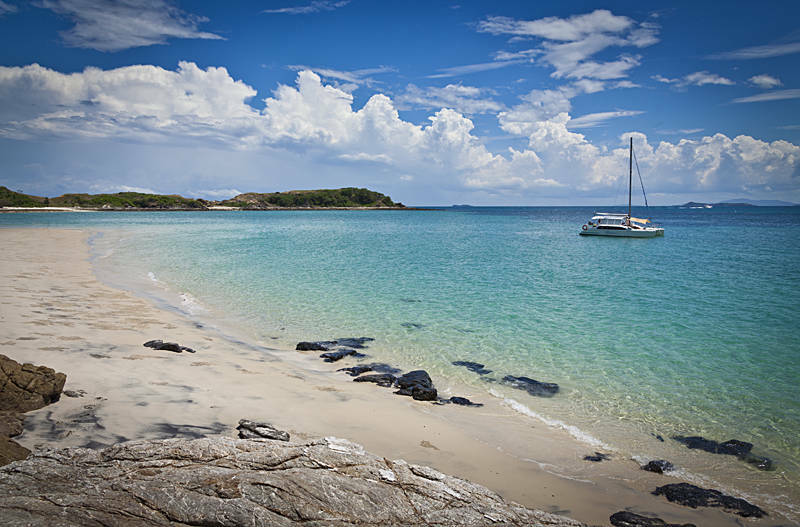 This is Great Keppel Island off the coast of Queensland in Australia. It is one of the Southern Reef islands which provide access to the Great Barrier Reef. If you have never visited Australia you would be forgiven for thinking the famous reef was within swimming distance of the mainland. In truth you always need a boat ride. However, once on the islands the coral is within a stones throw of the shore. We took a 30min ferry trip which parked on the island by driving on to the beach. We then walked 45min to this remote place called Monkey Beach.